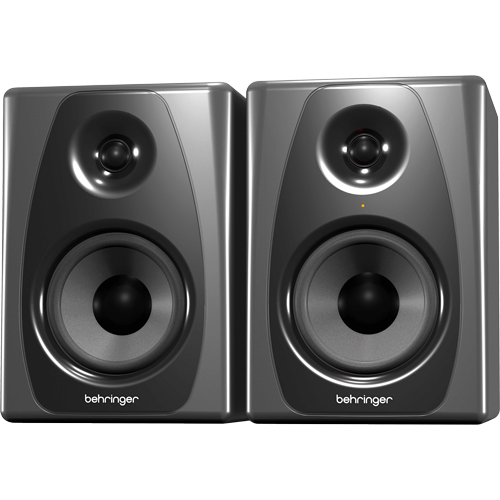 High-Resolution, 150-Watt Bi-Amped Reference Studio Monitors with USB Input. Whether you're creating music or simply enjoying it, you want a serious speaker with accurate sound. 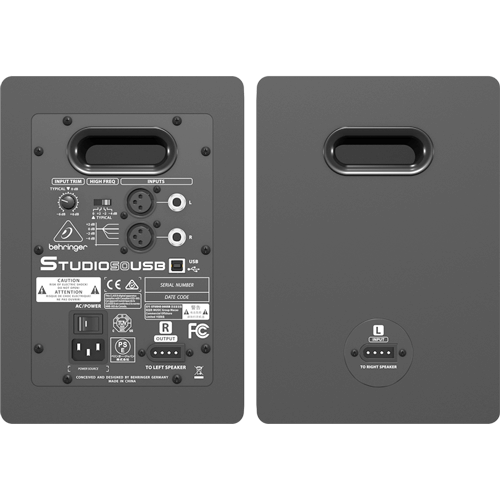 The STUDIO 50USB's ultra-linear, 150-Watt digital monitor speakers combine exceptional USB and analog connectivity in a bi-amped, 2-way speaker configuration, providing the perfect sonic upgrade for any audio or video application. And when it comes time to let your creative juices flow, STUDIO 50USB delivers studio-grade performance – giving you the power to dial-in your perfect sound. Every detail of your mix comes through in all its pristine clarity, with the kind of dynamics and impact that can only come from a high-resolution studio monitor system. • Advanced waveguide technology provides ultimate sound dispersion and extremely large "sweet spot"